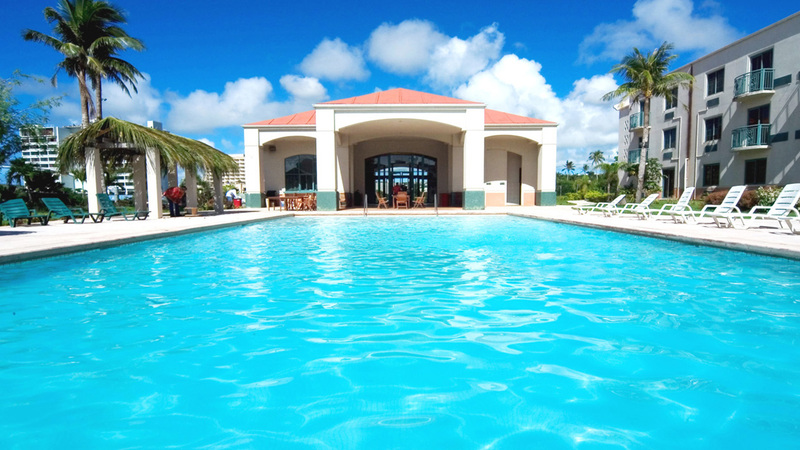 Garden Villa Hotel provides a tranquil garden ambiance in the center of the island's popular tourist destination. Whether you plan a short staycation or long term trip with your group or family, Garden Villa Hotel provides the amenities needed to enhance your stay. From airport pickup to our 24 hour convenience store, our friendly staff, services and facilities, will surely make your stay on Guam more enjoyable. Traveler favorites include a fully furnished kitchenette, sitting area, and our bonus bathroom. Si Yu'us Ma'ase (thank you) for visiting, we are confident you will enjoy your stay and the peacefulness of a villa retreat. We are conveniently nestled in the center of Guam's favorite tourist spot and within walking distance to entertainment, activities, restaurants, and shopping. We're a five-minute stroll from the popular white sands of Matapang Beach and our sister hotel, Holiday Resort & Spa. Complimentary Shuttle service available for beach access. © 2018 Garden Villa Hotel. All rights reserved.